The bodyguards of Elite Guardians Agency have more than just skill and prowess in common - they're also all women. When it becomes clear that popular psychiatrist and radio personality Wade Savage has a stalker, his father secretly hires Elite Guardians in order to protect his son. But when Wade's bodyguard is attacked and nearly killed, agency owner Olivia Edwards must step in and fill the gap. Olivia's skills are about to be tested to the limit as Wade's stalker moves from leaving innocent gifts at his door to threatening those closest to him – Including Olivia. But in her mind, even more dangerous than the threats to her life is the hold her handsome client has on her heart. 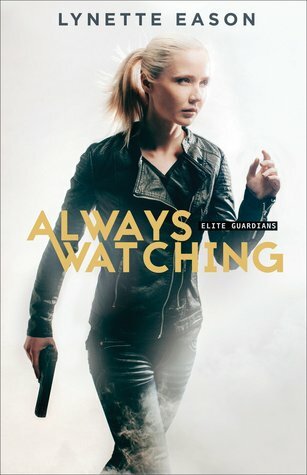 Always watching by Lynette Eason is the first book in the Elite Guardians series. I absolutely loved having a female bodyguard protect a big, strong man. It is a very refreshing departure from the usual damsel in distress looking to her male bodyguard to save her. The ladies of Elite Guardians are smart, capable, professional security specialists running their own company and calling the shots. They work together beautifully, efficiently and rally around their own. It was a pleasure to experience their relationships, both personal and professional. This first book in the series follows Olivia who steps up to protect their client, popular radio personality Wade Savage, who is being stalked by what appears to be an obsessed fan. Wade, being the big, strong man that he is, refuses to entertain the thought of a bodyguard, sure that he can take care of himself. Wade’s father, therefore, secretly hires the Elite Guardians to keep an eye on his son and when Wade’s bodyguard is ruthlessly attacked and left for dead, Wade is not happy to discover his father’s involvement, but he can no longer deny that the threat may be bigger than he can deal with on his own; especially considering that the now vengeful stalker escalates to threats towards Wade’s 12 year old daughter, Amy. Agreeing to accept the protection of the Elite Guardians, though uncomfortable at the thought of women placing themselves in danger for his family, Wade and Olivia work together to unmask the identity of the stalker before he or she finally succeeds in ever increasingly dangerous attacks. There is an element of romance between Olivia and Wade, but while it is solid, it is never the main focus of the story – which is very realistic given the situation they find themselves in, and Wade’s daughter’s safety and wellbeing being the most important factor in his life (as it should be). Amy is a preteen with serious anxiety issues. I felt for Amy throughout this book as she very bravely battles her sometimes crippling anxiety. Eason does a fantastic job with this character; rarely have I read such a believable portrayal of child, especially one with anxiety. Amy’s relationship with Olivia is also beautifully handled and it is a joy to watch them become friends. Wade and Olivia’s mutual attraction is immediate, but before they can entertain the thought of a relationship, both of them have to address some of the scars from their pasts, and they both have to break down the walls that they have erected to keep themselves from being hurt in order to let each other in. Wade’s strong faith in God helps him tremendously throughout the story, and even helps Olivia, whose faith has been shaken following a traumatic event in her past that she struggles to make peace with. As Wade needs Olivia to keep him and his daughter physically safe, she needs him to guide her back to God. The action in Always Watching begins right out of the gate and truly doesn’t let up right until the very end. The element of suspense is ever-present and Eason keeps the reader on the edge of their seat with the next threat right around the corner. 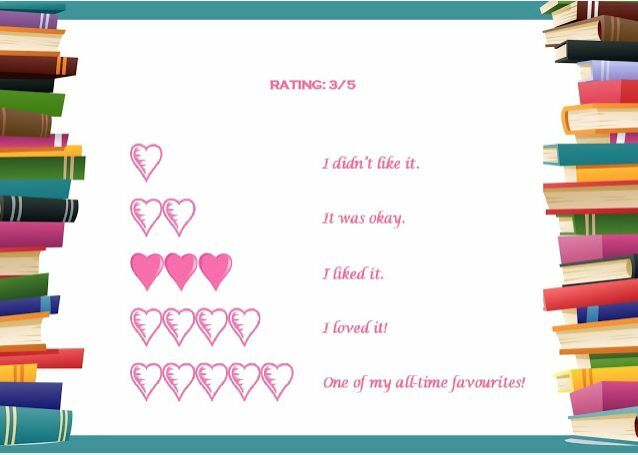 I did, however, manage to identify the stalker very early on, which is the reason I am scoring this book 3 hearts.